Has the gradual phasing out of our dialects erased more than just a local lingo? Cerelia Lim. Should the use of dialects be encouraged once more? This question was the focus of the Dialect Forum: The Forgotten Tongue hosted by the People’s Youth Association Movement at Toa Payoh Central Community Club on 27th June. “I will say that dialects made my life colorful, but beyond that, in the area of work in the professional life, it was mandarin that made the difference,” summed up Mrs Josephine Teo, MP for Bishan- Toa Payoh GRC. Mrs Teo, who speaks Hakka, Cantonese and Hokkien, is also the GPC chairman for education. 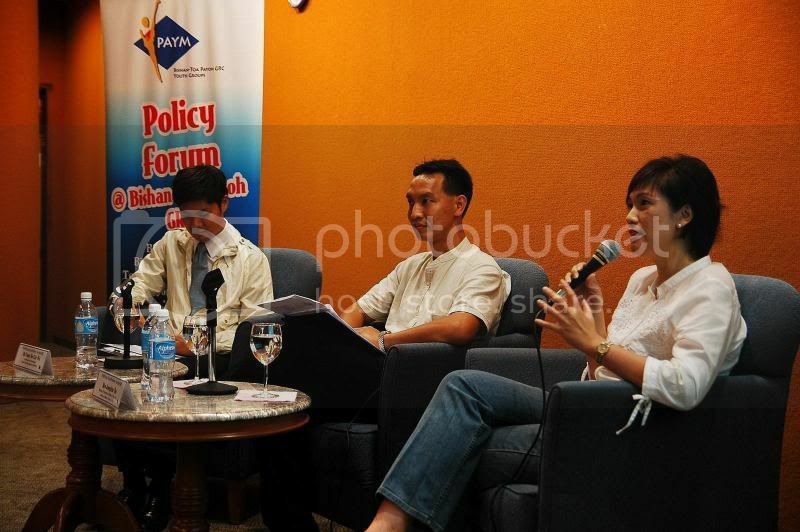 She was present as one of the panelists at the forum. Having studied in Dunman High, a Special Assistance Plan (SAP) school, Mrs Teo had a good grounding in mandarin. This stood her in good stead when she accepted a posting to work on the Suzhou Industrial Park Project. Although she spoke Hakka at home, she mastered English and mandarin at school. Cantonese was learnt from accompanying her grandmother to the market. And, as her family owed a shoe shop in Geylang, she learnt how to speak Hokkien and a smattering of Malay. In the early days of Singapore, the majority of the Chinese community spoke their native dialects. Mandarin was rarely used and English only utilized for official businesses as we were a British colony then. 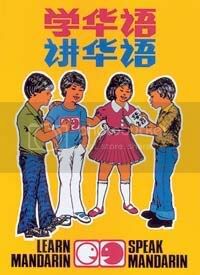 In 1979, in a bid to simplify the language environment and improve communication amongst the different dialect groups within the Chinese community, the Speak Mandarin Campaign was launched by then Prime Minister Lee Kuan Yew. The present Chinese community of today is mostly bilingual in English and mandarin. Amongst the Generation X and Y, dialects are a tongue unknown to them, a language of their grandparents’ era. However, has the gradual phasing out of our dialects erased more than just a local lingo? Mr Danny Yeo (Yang Jun Wei), a panelist and also a Chinese studies lecturer with Ngee Ann Polytechnic, told participants that in many of his drama performances at Chinatown, he often finds himself using dialects, instead of mandarin to engage the audience. He mentioned that his ability to speak Cantonese opened up doors and unlocked the obstacles between the audience and himself. Medical doctor, Mr Yong Tong, who is also the chairman of the Chinese association (Youth Wing), recounted that learning English and Chinese at the first language level allowed him to do his Executive MBA in Chinese but it was dialect that allowed him to communicate with his patients in the hospitals. Another participant of the forum, Ms Xuan Na, a Human Resources practitioner who studied in Special Assistance Plan (SAP) schools, questioned if our pursuit of the bilingualism policy is at the expense of dialects. In defense of the policy, Mrs Teo replied that as a parent if her children are able to master English and mandarin well, she would have no problems if they wanted to learn dialects as well. However, she reiterated that we should not have the belief that being able to speak a variety of languages is better than being able to speak well in a lesser number of languages. “Must it be assumed from the Speak Mandarin Campaign and the educational policies that the advocation of dialects come at the expense of English and mandarin?” Sherman, a Nanyang Technological University undergraduate. Elaborating further, he said that dialects have a role in society and their role is in our cultural identity. He also asked if there was a need to believe that learning of dialects will compromise learning standards of other languages and proposed that we appreciate our rich linguistics mix. In response, Mr Yeo said that he is an advocate of promoting mandarin and protecting dialects. He feels that we need to look at the language abilities of the youths today and compare it to the youths 10, 20 years ago. He said that if the language capabilities of the youths have decreased over the years, then a review of the language policy should be conducted. However, he also added that besides education, there are other ways of learning dialects such as watching popular Hongkong Cantonese dramas on cable. Ms Jillian Tiong, a Fuzhou native who has lived in Singapore from more than 20 years, concurs and said that learning dialects is not a difficult thing.